We are open evenings and weekends! Contact us to schedule and appointment or click here to schedule an appointment online. 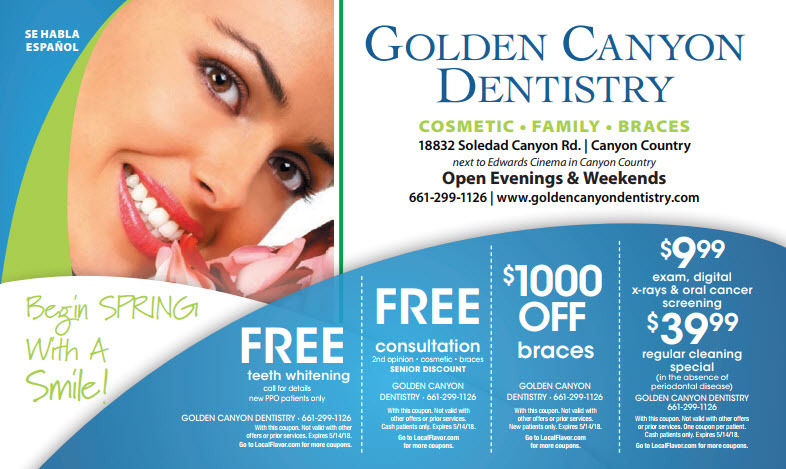 This website has been setup to replace our previous website at www.goldencanyondenstistry.com and keep our patients better informed. We genuinely hope this site is helpful to you in learning more about our practice, dental conditions and treatments, dental recommendations, and more. Canyon Country, California Dentist, Dr. Thinh Bui is dedicated to cosmetic dentistry such as Exams, Teeth Whitening, Veneers and more.